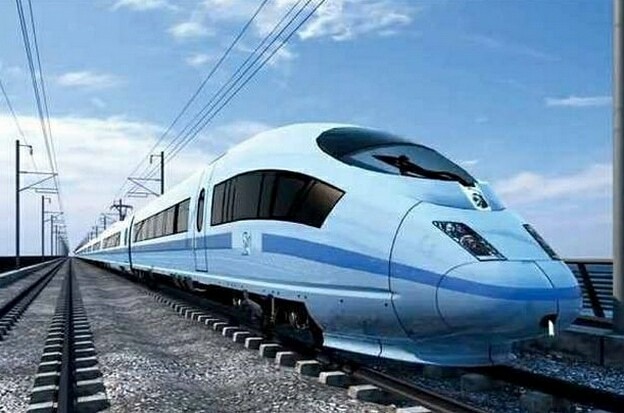 According to a report by The Northern Powerhouse which was launched by Patrick McLoughlin, U.K. Transport Secretary, Liverpool looks to be one of the biggest beneficiaries of the upcoming HS3 High Speed Train Link, expected to be operational by 2030. According to the Minister, this train system will revolutionize public transportation in the north of England’s railways. An analysis from JLL, a renowned real estate consultancy firm, shows that among the cities that would be affected, Liverpool looks to be benefiting the most. JLL has looked into different aspects in making this conclusion as they forecasts Liverpool’s unemployment rate to fall by as much as 36 percent as a result of the planned HS3 rail system by 2030. This train network is planned to expand to the Pennines and connect many different cities such as Liverpool, Manchester, Newcastle, Leeds, and Hull. On top of the launch of HS3 High Speed Train Link, Liverpool’s John Lennon Airport also looks to give passengers more travel options. There are plans for a direct hub link to Heathrow. Once this happens, Liverpool’s economy would receive a big boost as all sorts of passengers would take this opportunity to be able to book global flights through London’s Heathrow Airport. All these anticipations boil down to one thing: great investment opportunity. According to Ray Withers, Property Frontiers’ Chief Executive, Liverpool looks very ripe for property investment due to the HS3 rail network plans on top of the hub link plans between John Lennon Airport and London Heathrow. This is because great transportation plans usually result to greater demand for premium housing and accommodation. As a matter of fact, these aforementioned forecasts are supported by economic contributions brought out by current infrastructure improvements in Liverpool. For example, Merseyrail’s initial refurbishments for its five underground loop line stations have already shown positive yields for the properties along the area. Currently, luxury apartments along Parker Street are popular for property investors due to its location and net yield. There are studio and one bedroom apartments with prices along £68,000 with a net yield of 8 per cent for those looking to buy with cash. Alan Bevan, Merseyside property expert and head of City Residential, a leading residential property agency, believes that the current valuation of properties in Liverpool is very low. In other words, investors from overseas and different large institutions will increase these values and according to him, this will be so for the next five years. In his chart, Bevan showed the different average residential values in 10 cities in the UK. Coming in number one is the City of London at an astounding £1,250 per square feet (psf). Trailing behind it are the other cities of London (£850), Edinburgh (£320), Bristol (£300), Glasgow (£290), Leeds (£255), Manchester (£260) and Birmingham (£210). Liverpool, on the other hand, came in only at 9th at £205 psf, beating Newcastle only at a very close margin with the latter having average values at £200 psf. Bevan said that the number of national and overseas buyers of city centre properties in Liverpool is growing, despite local buyers falling. According to his study, national and overseas buyers would outnumber local ones by 2020. On top of this, Private Rented Sector (PRS) investors are now also looking into investing in the city centre market. He added that his research forecasts at least 50,000 people living in the city centre by 2019, a five-fold increase compared to that in 2000. All these data would only mean that purchasing properties at current capital value would only equate to a huge net yield, the best, even, in the UK.